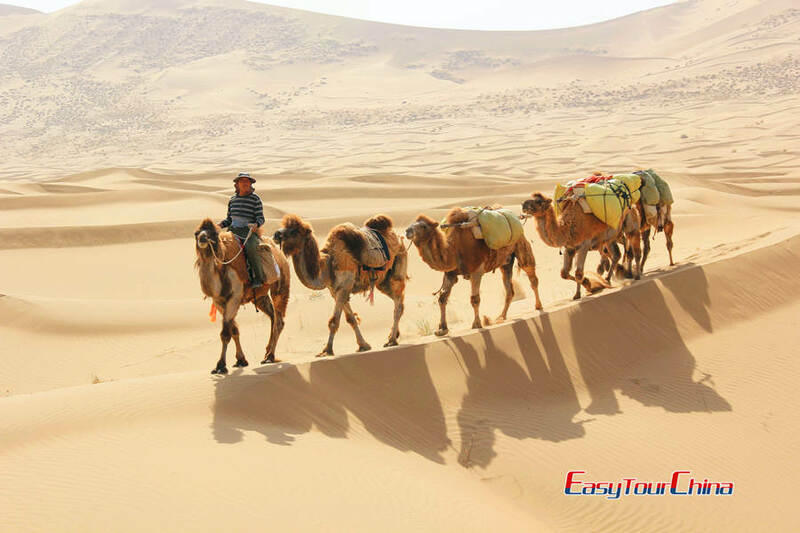 Gansu in Northwest China is an important part of ancient Silk Road, and famous for its fabulous desert scenery. 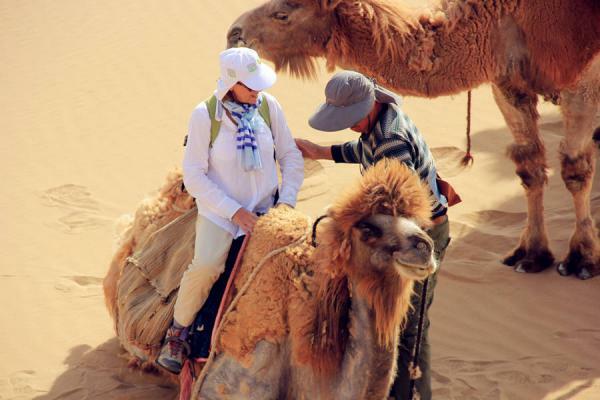 In this tour, you will see the greatest artistic accomplishment of Buddhist grottoes art of ancient China, and explore Zhangye Danxia Landform Geological Park and Badain Jaran Desert with breathtaking natural landscape of high Sand Dunes and hundreds lakes. Drive to visit Binglingsi Caves. 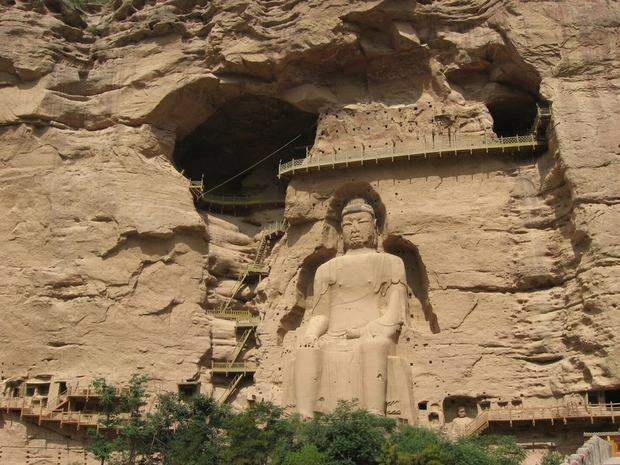 Built in 420AD of Western Qin Dynasty, it is one of 10 greatest Grottoes of China and a rare treasure house of Buddhist art along Ancient Silk Road. Overnight in Lanzhou. After breakfast, drive to visit Gansu provincial Museum. The museum boasts nearly 100,000 pieces of relics, specimens and historical finds of the province. Transfer to Alxa Youqi (500km). Proceed to Bandain Jaran Desert, and explore Bandain Jaran Lakes, Bilutu Peak, and Xiannv (fairy) Peak, have a bird's eye view of Badain Jaran Temple, Optional campfire party at night. Tent camping overnight. After breakfast, we will enjoy an oasis tour in the desert---Nuo'ertu Lake, a perfect spot for photography. Then, we will drive to Baoritaolegai Lake, experiencing special surfing on the resound sand in the sand lake. Drive to Zhangye. Visit Dafo Temple (Giant Buddha Temple). This 900-year-old temple is one of the most famous Buddhist temples in China. Overnight in Zhangye. 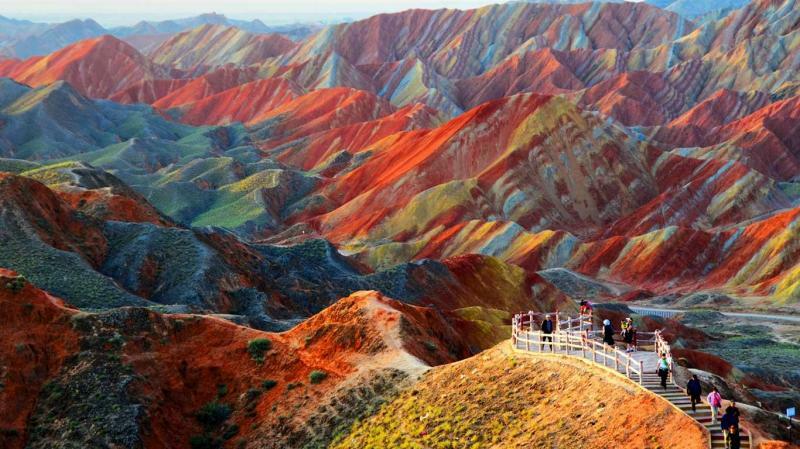 Visit Zhangye Danxia Landform Geological Park. Marvel at its majestic table mountain terrain, odd-shaped Danxia cliffs, and dynamic, dramatic colors. Get ready for taking some breathtaking photos. Then proceed to Jiayuguan. 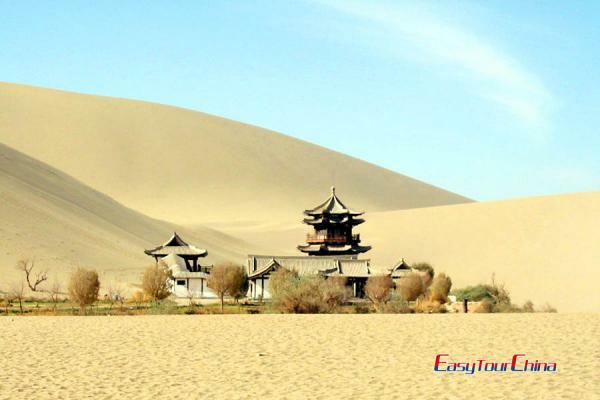 After arrival, visit Jiayuguan fortress in the afternoon. The fortress is the west end of the Great Wall of Ming Dynasty, and a magnificent, well-preserved military fort of ancient China. Transfer to Dunhuang in the morning, and visit Yulin Grottoes in Anxi. 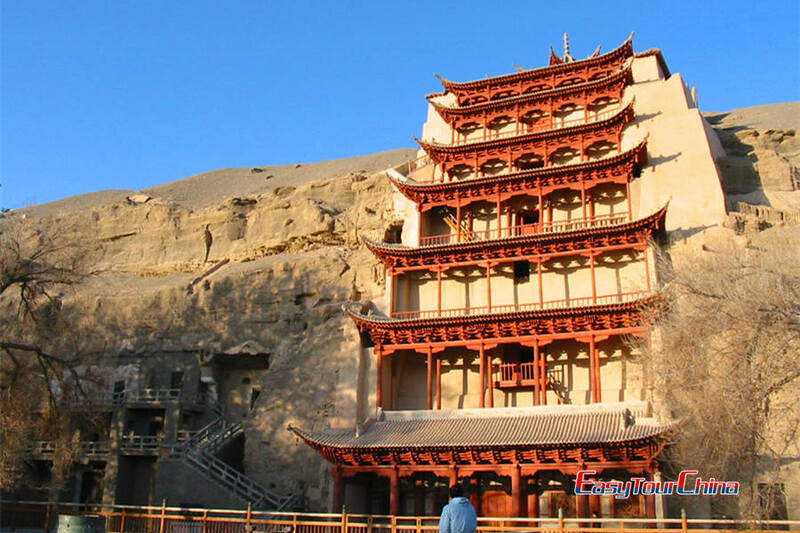 Yulin Grottoes is the sister grottoes of Mogao grottoes and an important part of Buddhist grottoes art in Dunhuang. Enjoy the stunning flying Apsaras on the wall painting of Yulin Grottoes. Overnight in Dunhuang. Visit Mogao Grottoes in the morning. It is known as the Gallery of Perfectly Beautiful Murals, and the world's greatest treasure house of Buddhist art extant today. 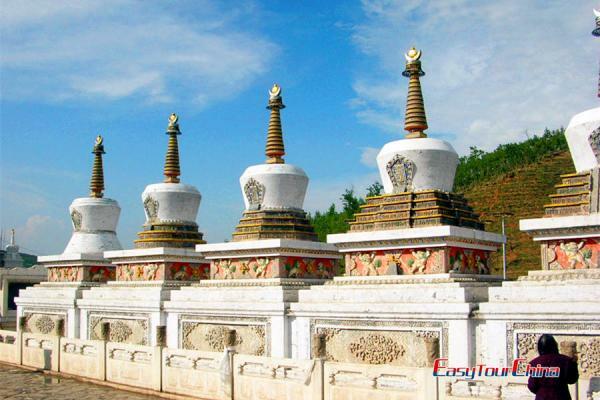 Then head for Western Thousands Buddha Caves, which house dozens of precious polychrome statues and wall paintings tracing back to as early as Northern Wei Dynasty (386 - 557). Transfer to the airport or train station to head for your next destination.